It’s Customer of the Week time again! Allow us to introduce you to our newest Eye Spy babe, CHARLENE! CHARLENE, is a friend of our book keeper Karla. 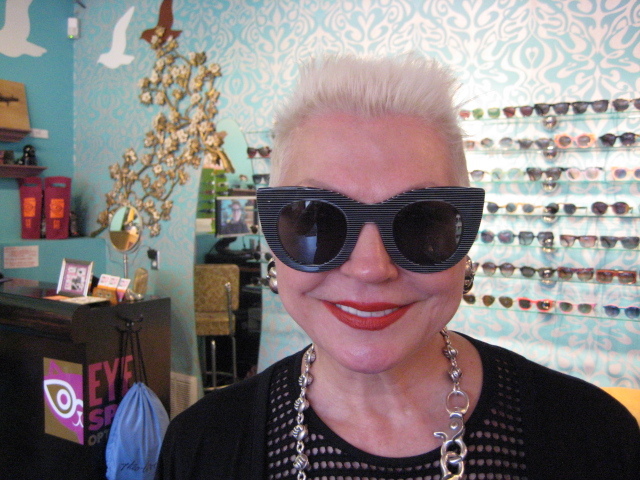 Karla brought Charlene in and it was love at first sight with these Thierry Lasry Orgasmy frames! Charlene can be found biking around town, with her little dog in the basket, you can’t see him but he’s real sweet! She also is the make-up guru boucing from show to show. Thanks for being such a blast Charlene! Take a peek at her frames up close and personal! Take note of Charlene’s sweet bike!! 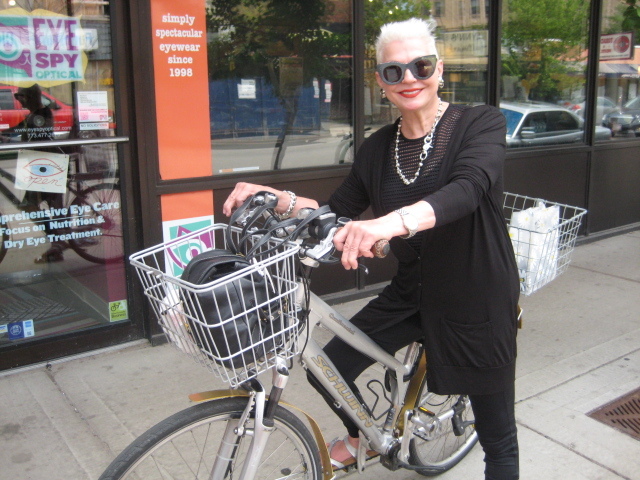 She biked here as part of Bike Lakeview! Show up to particpating shops in Lakeview on your bike and wave your helmet at some one and get a discount! Its green, gets you outside and has some serious perks!